I sent an email to Richard Stallman asking if he's interested in supporting Justin Nichol's Creative Commons Fantasy Portrait Project. "However, if you decide to describe it "free" or "free/libre" instead of "open source", then I would be honored to participate." Stallman's lectures are what convinced me in the first place to use the GPL for my work, and to be interested in copyleft licenses in general. I'm quite honored that he answered my email at all, and I agree with his reasoning. IOSKETCH is a cross-platform visual authoring tool for games. It is written in Common Lisp. 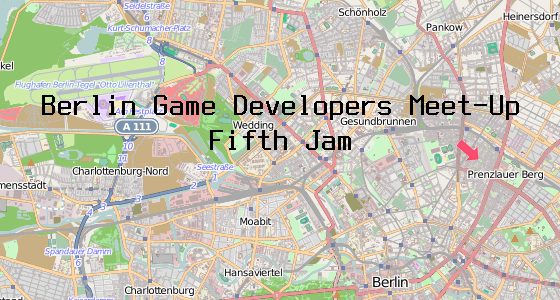 There's a little meeting this Saturday for making little games in Berlin. Artists, programmers, designers and whatnot are welcome! We speak English. Wir sprechen Deutsch. At least one speaks Spanish, at least one speaks Russian. You might want to bring a multiple outlet strip (don't forget your converter if you need one). Berlin Game Developers Meet-Up #5 on Facebook.